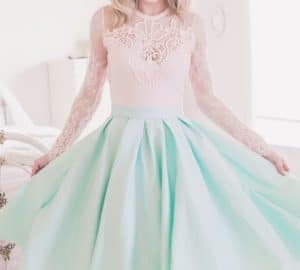 In this blog post, I’m discussing the Pisces woman, born between February 19 and March 20, in my How to Dress for Your Zodiac Sign series. The Pisces woman is very intuitive and spiritual. She is sensitive and caring and considers the needs of others. This imaginative and dreamy woman must determine how she will swim through life: with the flow or against it. Pisceans are kind to their friends – and strangers. At any gathering, the Pisces woman will either be the shy one in the corner who will listen to people’s problems or the outgoing greeter who warmly welcomes each individual. It all depends on her current mood! Pisces is the natural mermaid of the Zodiac. 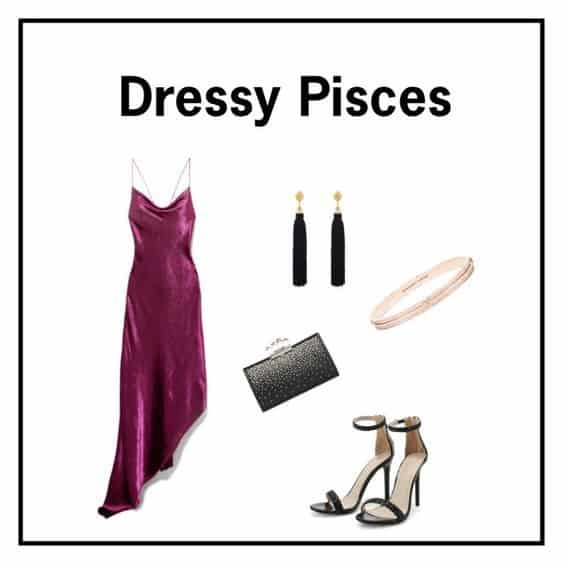 The most bohemian of the bunch, this water sign is usually drawn toward flowy, ethereal clothing in pearly, iridescent fabrics and colors such as teal, blue, and purple. Their softer style choices reflect their overall laid-back lifestyle and friendly disposition. Often told they are wise beyond their years, Pisces are very much in touch with their inner emotions and successfully translate their thoughts into art, whether that be paint on a canvas or lyrics to a song. What a fun post! I am a Capricorn. Wonder what I am suppose to wear. I love bright citrus tropical colors and lose comfy clothes. Wonder if this fits my Zodiac sign. 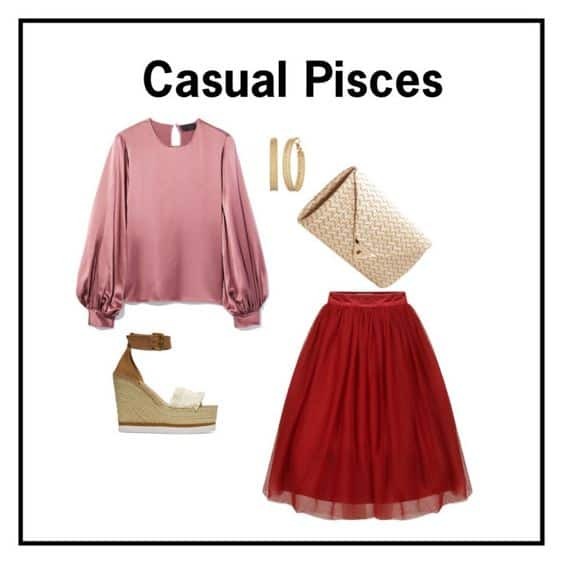 It’s so interesting to learn more about the Pisces style! I’m a Capricorn, but I definitely love the free spirited vibe of Pisces! The one element for dressing like a leo that I know is to wear something that draws attention and makes a statement haha. Thank you ever so for you post. Much thanks again!